Business Cash Advance - Easy Funding for New and Used Equipment. What is Equipment Merchant Cash Advance? Having available the latest technologies, heavy machinery, data processing equipment, computers, office equipment, medical machines, office equipment and other greatest tools for business is important. However, the cost of obtaining certain essential business equipment can be expensive. Besides, buying equipment to cope with the business requirements consumes the desired working capital. Therefore, if you wish to improve existing inventory or buy new equipment, then Merchant Cash Advance is of great help. Equipment merchant cash advance is a type of business funding that is used to grant small businesses with the necessary working capital to buy equipment. Thus, it enables small business owners to channel their cash towards other areas of their businesses. Business Capital USA provides you with no-hassle financing for the equipment you need. Obtaining equipment through alternative financing method is more flexible, affordable and customizable to cope with exclusive business requirements than SBA loans for equipment from banks. 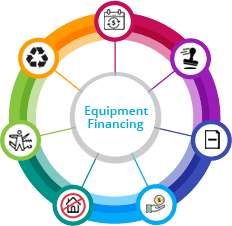 Equipment financing has a definite advantage over equipment leasing because after your loan is paid off, you will own that equipment which is otherwise not possible with equipment leasing. Thus, if you are seeking a stable solution and you know that the equipment would be needed in a long run, business cash advance is the smart and ideal funding option for buying equipment. Besides, you can use business cash advance to buy any kind of business equipment- medical, hotel, restaurant, salon & spa, dental, etc. Business Capital USA understands that the cash flow is the means of support to business. With new opportunities coming up, the need for additional equipment becomes imperative. Hence, business cash advance can be a quick and simple way to support full worth of the machinery, computers, vehicles, or whatsoever you need to operate your small business. Business Capital USA extends capital to businesses for acquiring equipment more efficiently and quickly. With business cash advance, you can qualify for equipment financing up to $500,000. If your small business is at least 6 months in service and is generating sales worth $5,000, monthly, then it can easily qualify. Besides, unlike small business equipment loans from banks, no personal collateral or wide documentation is required to get business cash advance. Apply online and get your business cash advance within one business day to pull off your business equipment needs. Many businesses trust Business Capital USA for their business equipment needs for the following reasons. Know equipment financing from Business Capital USA makes sense. Now afford new or used business equipment right away with business cash advance program from Business Capital USA. Small business equipment financing gives freedom to utilize your cash reserves and borrowing ability to finance your business’s potential needs and take your small business to next level. Small business equipment financing through Business Capital USA was affordable and has given me freedom to take my business to next level quickly and effortlessly. Thanks to the great team. My medical business needed additional equipment. Qualifying for equipment financing with Business Capital USA was quick and easy. 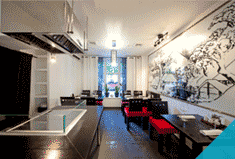 Merchant Cash Advance Program is definitely advantageous over SBA loans. © 2019 Business Capital USA. All Rights Reserved.